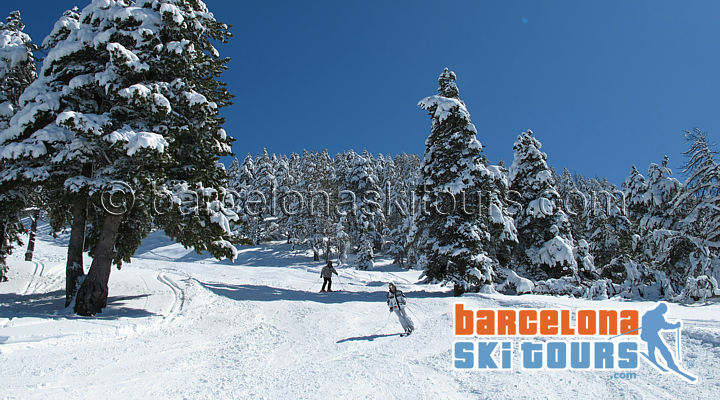 Masella is a ski resort in the Pre-Pyrenees mountain range about 2 hours from Barcelona and perfect for day skiing from Barcelona. In 2018 Masella opened on 1st November as the first ski station in Spain and the earliest date they ever opened. There was a big snowfall in early November but not much since then. Masella prides itself on being the ski station that opens first and closes last for skiing in Spain. This is because the Pre-Pyrenees don't always get as much snow as the Pyrenees but Masella has great slopes and many snow cannons so it is still wonderful for skiing.